The Beast's Heart Leife Shallcross (eProof) - A sumptuously magical, brand new take on a tale as old as time—read the Beast's side of the story at long last. Lose yourself in this gorgeously rich and magical retelling of The Beauty and the Beast that finally lays bare the beast's heart From Goodreads. I received this eProof for free from Hodder & Stoughton via NetGalley for the purposes of providing an honest review. Warning: This review contains minor spoilers, but as this is a retelling of The Beauty and the Beast, it only spoils the aspects of the story we already know about from the original fairy tale. I'm such a huge fan of fairy tale retellings, that I've been desperate to read The Beast's Heart by Leife Shallcross from the moment I heard about it. However, I couldn't be more disappointed. The Beast's Heart is the story of Beauty and the Beast from the Beast's perspective, and it seems like Shallcross has tried to stay true to the original fairy tale. However, in trying to stay true to the original - which is 22 pages long in my copy of Perrault's Fairy Tales - absolutely nothing happens. Seriously. Once Isabeau is at the castle, for chapters and chapters and chapters on end, all that happens is Isabeau plays the virginal while the Beast listens, and the Beast reads to Isabeau, and sometimes she draws while she reads. That's it. The only time this is broken up as when Isabeau falls ill, eschews the Beast's company for several weeks, seeming to not be able to stand his company. But when she's well again, they go back to doing the same old thing until she discovers her father is ill and goes home. And this was incredibly disappointing. Yes, the original story is short, but that doesn't mean you can't stay true to that story and not develop on it, to make it worth being a full-length novel. Drown by Esther Dalseno is a perfect example of how it can be done. It's a retelling of The Little Mermaid, and it stays incredibly true to the original fairy tale by Hans Christian Andersen, but it takes it develops it further; it has the origin story of the sea-witch, it has mermaids who have no feelings, and a plague that is killing them off, plus a prince who has a mental illness. There is so much more going on in Drown than in the original fairy tale, and yet it is so very close to everything that happens in the original. Drown is proof that you can have a retelling of a fairy tale, stay true to it, but also have a full length novel where things happen. But with The Beast's Heart, all we have is this constant repetition of the same old things, and, well, I was bored. On top of nothing happen, I don't feel there was really any development to the characters. I couldn't tell you very much about either of them, except the Beast is very angsty, and Isabeau has very little personality. And because of this, I couldn't believe the romance either. He only wants Isabeau with him in the first place because she's beautiful and he's lonely, but when he actually falls in love with her, I couldn't tell you. The fairy that transformed him appears at one point, and they have a conversation, and after that the Beast realises he's in love with Isabeau, but I never felt it. He's just all kind of angsty and obsessive. And I don't feel Isabeau ever really sees the Beast as more than a friend. I was not rooting for them at all. There are a couple of good things about this story. I really enjoyed the writing style, which felt like high fantasy, but a little more formal. And I enjoyed the stories of Isabeau's sisters, Marie and Claude, which we got to see through the Beast's magic mirror. A hell of a lot more happens for those two than the Beast and Isabeau, and they were really the only interesting part of the book. They have developing romances that I could root for. But there isn't as much of them as I would have liked, and neither of these things make up for the majority of the story, where nothing happens! I am so very disappointed with The Beast's Heart, and I really didn't enjoy it very much at all. 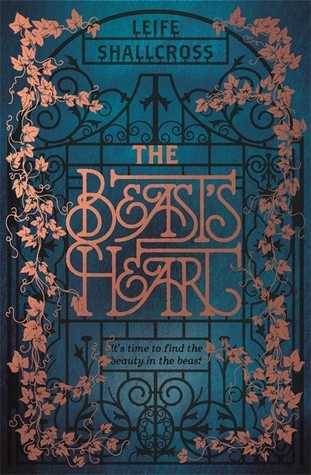 However, other people have really loved this story, so do read some other reviews - like Naima of Violette Books' review of The Beast's Heart - before deciding whether or not to read it. Oof, it's a disappointing retelling that doesn't bring anything fresh to the original story!